The Pacifica Ukes "Ukeletics" group is the adult component of our Pacifica Ukes family. The group consists of parents and graduates of our Pacifica Ukes program, as well as invited guests who enjoy making as part of a ukulele group. 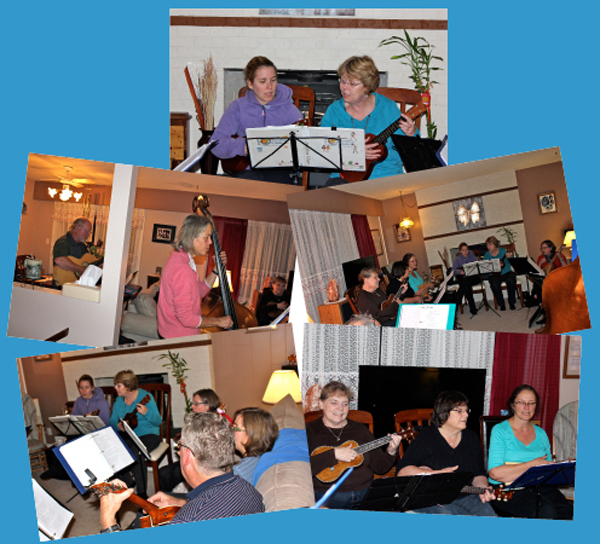 The group meets monthly on the 2nd and 4th Thursdays during the school year to sing / play through a variety of musical selections similar to what the students play. It is a relaxing way for the parents and adults to experience what the students are experiencing, with the goal of eventually performing at a few concerts.